The trailer of the long-in-the-making ‘Dassehra’ is finally out. The first glimpse of the film gives a clear indication of the film being an out-and-out actioner with elements of trill and suspense in it. The fight sequences look brutal and exhilarating. The trailer opens with the shot of a hostel where the dead bodies of a few female students are found. The cops go on a hunt to find the killer and start seeing a pattern to the way these murders have been carried out. 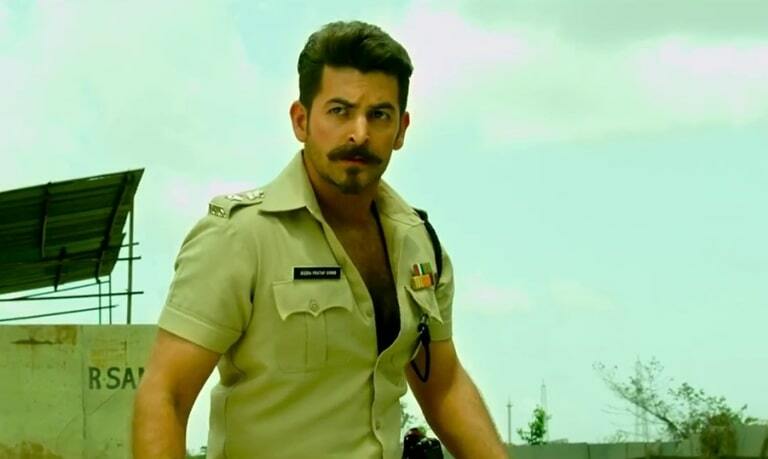 Neil Nitin Mukesh will be playing the role of a police officer for the first time in his eleven year long career. The film also stars Tina Desai, Govind Namdeo. The story has written by Saurabh Choudhary and Produced by Aparana S. Hosing under the banner of Rash Production. There is a shot in the trailer where Neil kicks a car and pushes it towards a bunch of goons. The action is the kind we have seen in films like ‘Wanted’, ‘Singham’ and ‘Dabangg and it would be refreshing to see Neil doing it for the first time. The film seemed to have a mix of a realistic story coupled with stylised action. ‘Dassehra’ is a story of crime and politics. The film evolves from the backdrop of a politically destabilized state, places which symbolizes politician mafia network, a place of heinous crimes, cunning politicians, reckless criminals, The film is dedicated to the bureaucrats of India. The film hits theatres on 26 October, 2018.